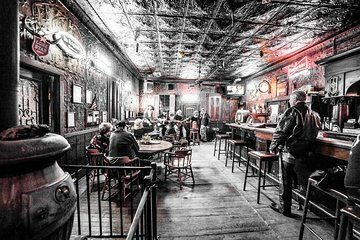 Grab a drink or two at the Pioneer Saloon, the oldest bar and cafe in the Las Vegas area, on this evening tour. It includes bottomless lager and reserved seating, plus roundtrip shuttle transportation, so you don’t have to worry about driving. The Ghost Town Cafe also serves breakfast, lunch, and dinner all day and is available for purchase.